If you’re a huge fan of cycling analytics – monitoring your improving speed, fitness level and ride pace – you’re probably aware of the many powerful cycling computers out there. They’re powerful tools for upping your game, improving your times and reaching your athletic pinnacle. Once upon a time, a good cycling cadence and speed sensor would cost you hundreds. They would require extensive wiring and water protection, and they wouldn’t necessarily work all that well. Not ideal, right? But know this: you may have a cycling computer in your pocket already. There are a bunch of great apps which essentially turn your phone into a cycling computer. Thanks to your smartphone, some clever apps and a bit of inexpensive bluetooth technology, a cadence and speed sensor for iPhone or Android is a reality, and an affordable one at that. No wires, no fuss, no excess gadgetry cluttering up your home or bicycle frame. This article will review a few of the best wireless iPhone / Android cadence and speed sensors. We’ll examine them, listing the stats, pros and cons of each. Before we go over my favourite Android and iPhone bicycle sensors, it’s important to touch on compatibility. Basically, all modern smartphones are Bluetooth equipped. This is a short-distance, low-energy radio technology which allows wireless data transmission from one device to another. It’s what lets your phone connect to your hands-free headset while driving, and it works great in many other applications too, including cycling. Any Bluetooth-equipped speed and cadence sensor should work with your iPhone or Android device (as long as it is modern enough.) However, most of these products are designed to function with their own app. Some devices only work with ANT+, which is a wireless protocol similar to Bluetooth but specifically designed for fitness trackers. If you’re already using and loving a particular fitness app, it’s worth checking whether the cycling sensor you like is compatible. This is a brand which has dominated this niche for the last little while. And for very good reason. 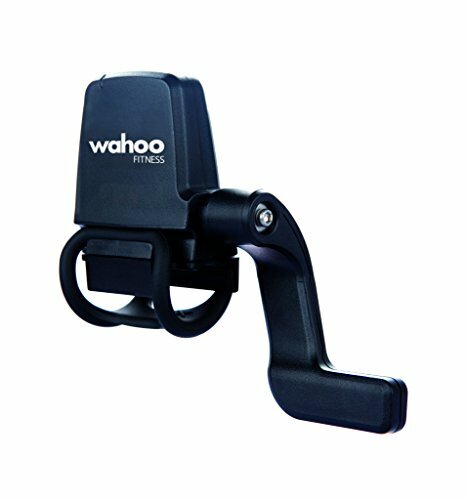 The always popular Wahoo Blue SC is a Bluetooth 4.0 compatible cadence and speed sensor that can work with both a smartphone or an ANT+ cycling computer. The Wahoo is waterproof and able to take a beating. It’s also pretty light, coming in at just 36 grams. The battery is not rechargeable, but this device is very low energy, so that tiny little battery only needs to be replaced every 12 months or so. The Wahoo devours data. You’ll get a readout of your cadence, your speed and the distance you’ve traveled. It also plays nice with lots of apps, not just Wahoo’s system. Compatible apps include Fitbit, MapMyRide, MyFitnessPal, DigiFit, and many more. Cons: The Wahoo is slightly more expensive than some of the competition. However, it’s still a heck of a lot cheaper than fully wired bike computer! For $60, the Wahoo is an affordable bluetooth cadence sensor for iPhone or Android users, and it reviews really well. Check it out! 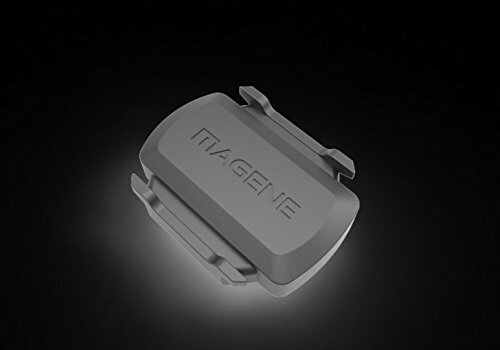 This tiny little sensor speedo by Magene looks a bit different than most other iPhone cadence sensors and speedometers out there, mostly because of the form factor: it doesn’t have the arm. This device measures both speed and cadence. It’s highly compact and one hell of a slick device. It mounts to your crank arms, or to your wheel hub. With an open API, the Magene is highly compatible. Most major fitness apps will talk with it, including Strava, MapMyRide, Wahoo, ZWIFT, etc. Cons: The interesting thing about this one? It can only measure cadence OR speed. Not both at the same time. For that reason I suggest buying two and measuring both. You can pick up two of them for around $43, making it inexpensive compared to a lot of the competition. It’s a cheap, sleek, durable, long-lasting smartphone cadence sensor with high marks for compatibility… what’s not to like? 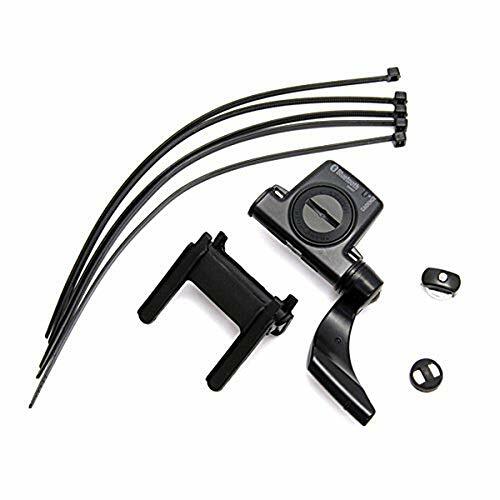 This impressive CatEye arm-style sensor, like the others in this list, will turn your iPhone or Android into a powerful cycling computer by collecting accurate wireless data. I like this unit for its reputable brand. 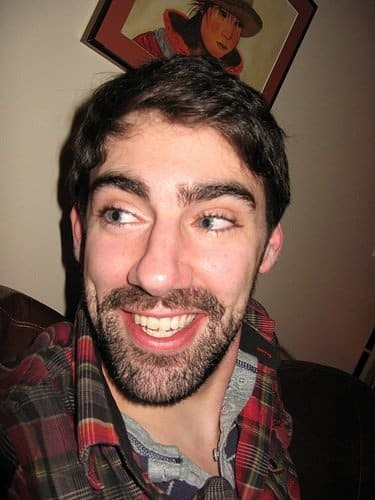 CatEye has been in the fitness tracking game for ages. They know their stuff, and you can count on a good warranty, industry-leading durability, and most importantly, accuracy. I also appreciate its wide compatibility and the robust, data-rich CatEye fitness app. You can pair it to any CatEye tracking device or any smartphone. In smartphone mode it uses very little of your battery power. The replaceable coin battery gives you around 1 year of use in standard conditions. It’s Bluetooth 4.0 compatible, giving you access to all the big apps. It it not ANT+ compatible, but CatEye does make an ANT+ version. Cons: The CatEye is higher on the price range. It’s a “big brand” item and has a premium build quality, so you’ll pay a bit extra for that. As for functionality, I have zero complaints. It’s still under $60, which I consider affordable. It’s a top-end bluetooth bicycle cadence speedometer with good reviews and a relatively easy setup… a no-brainer to make this list! There are a ton of wireless bicycle cadence sensors out there that have a pretty similar design to the Wahoo. That’s fine, but I like seeing an original design, especially when it recognizes that not all bikes are constructed the same way. The imaginatively-designed CooSpo does that. And it’s one of the most affordable bluetooth cadence and speed cycling sensors around, coming in at under $30. Rather than having one solid piece, the CooSpo separates the sensor into two parts, joined by a wire. Because there is a bit of flexibility and distance between the two sections, you can customize the mounting somewhat. That’s handy on atypical bikes. It should even work on a stationary bike. It runs on a button battery and gives about 700 hours of riding per battery; typically that’s more than 1 year of use. CooSpo doesn’t have their own app, but this slick unit will run happily on most major iPhone and Android applications. It’s also ANT+ compatible in case you need it. Cons: It’s basic, but the functionality is all there. Kudos to this company for a creative approach to their product design. With good compatibility, a cheap price, easy installation and a precise sensor, it’s worth taking a look at. This is a growing segment, and I’d expect more iPhone and Android compatible Bluetooth RPM and speed sensors to appear shortly. People are becoming more reliant on their mobile phones for fitness purposes. And you’d better believe that the big ‘traditional’ powers in the cycling analytics world are paying attention; CatEye is already on board, and now Garmin and Sigma too. Any important sensors that I missed? What do you track with? Feel free to chime in below. Thanks for the reviews. I have used wired Cateye speed and cadence sensors, but the eventually fail due to wires being pulled loose from rough riding or handling. Hopefully I wireless sensor wont have that issue. Also, it would be really handy if you would put the date of the article posting directly under the title at the beginning of the article. Same for updates. With rapid changes in technology and products, more recent reviews are more beneficial. Hi Cabe, I hear you re: pulled wires. Wireless isn’t without its quirks, but it makes life sooo much easier. Thanks for the feedback re: article date. This one was recently updated, but I’ll definitely consider putting the updated date under all our posts! 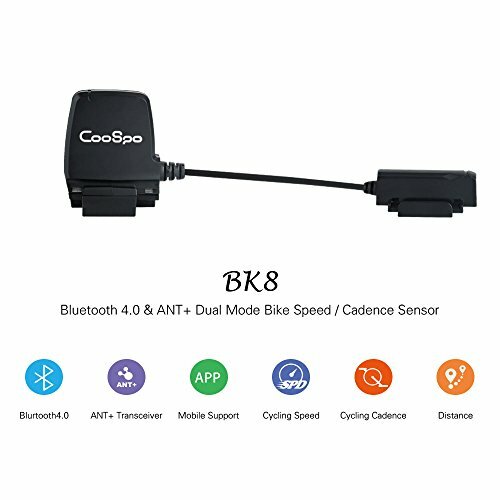 Does anyone know which sensors work with iPhone 8+/iOS 11.3 & Mapmyride? The Duotrap S is no longer supported (as of last fall 2017). Does Cateye or Wahoo still work with Mapmyride? I would like an app that shows me my speed, height, cadence and heartrate, overlaying rear camera video so I don’t have to turn around or use a mirror to look behind. Pushing buttons would give useful stuff like distance travelled, height climbed, calories burned etc but I would do that when stopped. Some video recording function would be useful, possibly including a front camera. That’s not going to be cheap, but I would pay for it. The whole satnav functionality, I would want to switch screens to a satnav screen, and I would probably be stopped when doing so. I don’t want a satnav much on bike, either I know where I am going because I have been there before, or I will have scouted all the key junctions on StreetView. Map My Ride (even the newest Android apps) is NOT compatible with Bluetooth devices other than heart rate sensors. Theoretically MMR works with ANT+ phones, but choices are meager. Great list – it’s good to see a list include the likes of Wahoo, rather than just big players like Garmin. thanks for the info. would love to hear any updates you’ve come across with other devices. Hi Phil, as an alternative, check out the Wahoo RPM, I’m planning to update the posting to include it. It might be easier / less bulky to attach, as it goes on your crank arms or your shoes.